For the outcome, see here. A contribution to this week’s Photo Challenge, Optimistic. 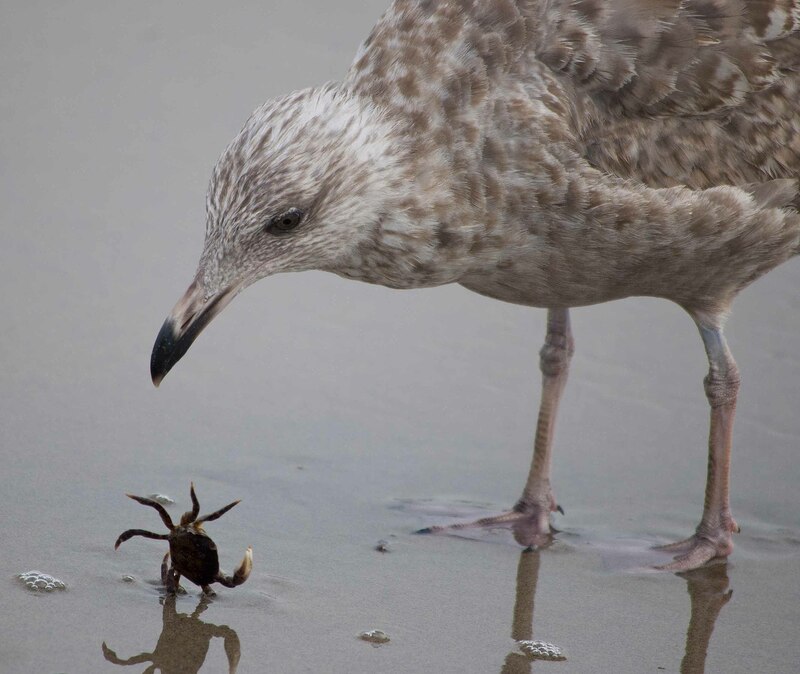 This entry was posted in Nature, Photography and tagged Birds, Crab, Gull, Optimistic, Photography, postaweek, postaweek2016, Weekly Photo Challenge. Bookmark the permalink. I’m sure we’ve all felt like that crab in our time. Thank you so much, Madhu!! Ouch! I felt for that crab. Brilliant pictures. Haha too funny! My first thoughts were “not looking optimistic for the crab”. Being a cancerian my solemn condolences to the poor creature! What a candidate for the theme !!! Perfect for the theme. I followed the link and would vote for a different ending, but it was very enjoyable storytelling!